David Ribas (Barcelona, ​​1957) studied painting and wall coverings. Since 1980 he has been painting. For his work as an artist he has made work stays in Morocco, Mallorca, Japan and Sardinia, which he has combined with continued artistic research in his own Riudebitlles studio. He is a founding member of the group of Mediterranean artists Ras-El-Ranut (1994). 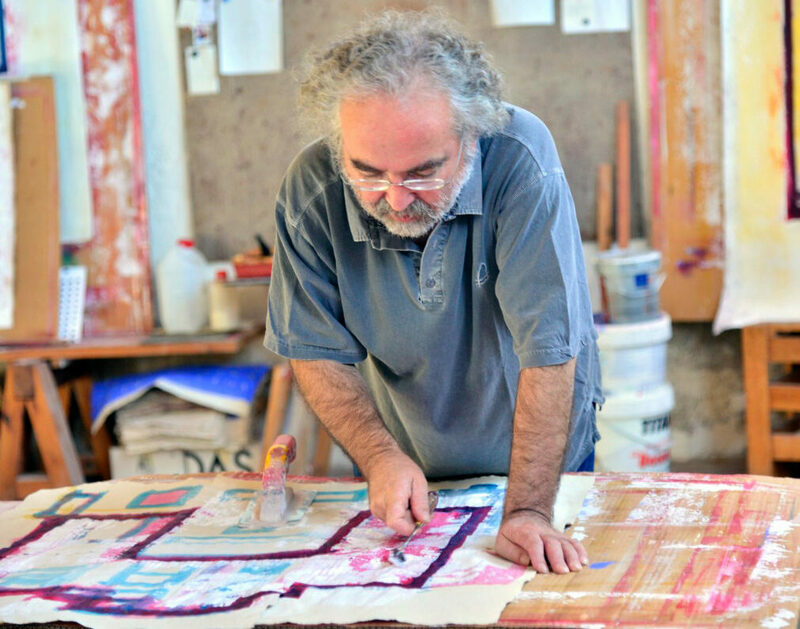 His most recent solo exhibitions have been in Tokyo, l’Alzina de Ribelles, Sant Sadurní d’Anoia, Algero (Sardinia), Barcelona, ​​Girona, Tangier, Tetouan, Mallorca, Vilafranca del Penedès, Capellades and Saint Paul de Vence. He has also exhibited in collective exhibitions in Barcelona, ​​Berlin, Béziers, Nîmes, Toulouse, Lisbon, Rabat, Tetouan, Tangier, Brussels and Strasbourg.